Despite a deadpan performance in the final round of 80 at the European Tour, Shubhankar Sharma bags the Rookie of the Year prize. 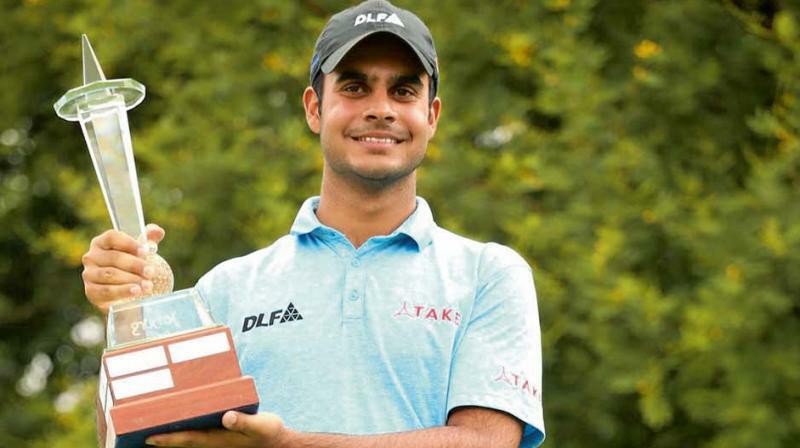 The 22-year-old golfer Shubhankar Sharma just completed his European Tour and became the first Indian to win the prestigious Sir Henry Cotton Rookie of the Year award despite having a lackluster performance in the final round of 80 at the DP World Tour Championship which ended on November 18. Sharma is preceded as the winner of this category by Jon Rahm (2017), Wang Jeunghun (2016), Byeong Hun An (2015) and Brooks Koepka (2014). No other Indian has won the Rookie of the Year award in an European Tour, although three Indians – Arjun Atwal, Shiv Kapur and C Muniyappa have all won the Rookie of the Year awards in the Asian Tour in 1995, 2005 and 2009 respectively. However, he became the third Asian in the last four years to win the award after Beong Hun An and Wang Jeunghun. “It has been a great season and to come out with this (Rookie of the Year) award, about which I knew nothing till a few years ago, is indeed a positive,” said Sharma. However, Sharma completed his European Tour season with a disappointing note as he carded eight-over 80 in the final round of the DP World Tour Championships. Summarising his experience, Sharma added, “I would have loved to finish better, but a series of small things like poor decisions, not-so-good hitting and putting and so on, including pace of play, affected my performance. All that is part of the game, so I learnt a lot. In the end it was nice to come out Rookie of the Year award and a place at 2019 Open”. Sharma is now looking forward to the Asian Tour where he is leading the Order of Merit. However, a tough competition lies ahead for him in Hong Kong. The Asian Tour has been a talismanic tournament for Indian golfers. Since 2002, four Indian golfers have won the title of being the Number 1 golfer in Asia. The names include, Jyoti Randhwa (2002), Atwal (2003), Jeev Milkha Singh (2006 and 2008) and Anirban Lahiri (2015). Another optimistic takeaway for Sharma was that he finished 28th in the Race to Dubai standings to guarantee himself a place at The Open at Royal Portrush next year as the Top-30 get a spot. Sharma, who started off the season with T-10 at the Hong Kong Open exactly a year ago, has won two events the Jo’burg Open in December 2017 and the Maybank Championships in February, 2018. Through the season, Sharma played 26 events, including all four Majors, but made the cut in only the Open Championships, which was in the same week as his 22nd birthday. He also figured in all four WGC Championships, none of which had a cut and his best result was T-9 in WGC-Mexico, where he led after 54 holes.